Q. Your recommendations of CD players seem to only be for single disc players. 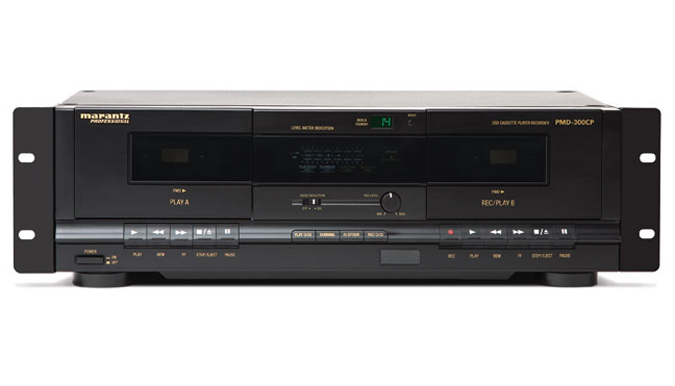 We currently have a 5-disc changer, which is great when you want to have music playing for a longer time. What do you recommend? What about a dual cassette deck to play our collection of cassettes? We need one of those too. A. Yours was the third question I received about CD changers within a 24 hour period. That tells me it is time to write about CD changers! Please note that “Marantz Professional” is a brand of inMusic Brands and different from the high-end Marantz brand owned by D&M Holdings. Q. I want a premium wireless speaker with quite strong bass to be placed on my mantle, which is 5 inches deep. It will be used for music-only, no TV is involved. I looked at the Axiom Air you recommended and it looks great, but when I look at the dimensions I do not think it will fit comfortably. Price is not so much the issue, but sound quality is and I want to feel the bass. What would you recommend? A. Big bass and small boxes don’t go hand-in-hand. You need to move air to make bass, and even with fancy acoustic tuning there is only so much you can do. Your best bet is to place a matching subwoofer somewhere else in the room.